Averaging 1.08 points per game, Gabriel Landeskog leads the way with eight in a tight race for the most game-winning goals in 2018-19 so far. Who are the best in the business when it comes to netting the clutch goals? With the push for the Playoffs starting to heat up, teams will be counting on their primetime performers to light the lamp when it counts the most. If you’re looking for a player that has the knack for netting the game-winning goals, check out this Fab Five in this week’s edition of NHLPA.com’s My Top 5. Colorado’s captain leads the way with eight game-winning tallies in 2018-19. Not a surprise considering the left wing is tied for fifth overall in goals scored. 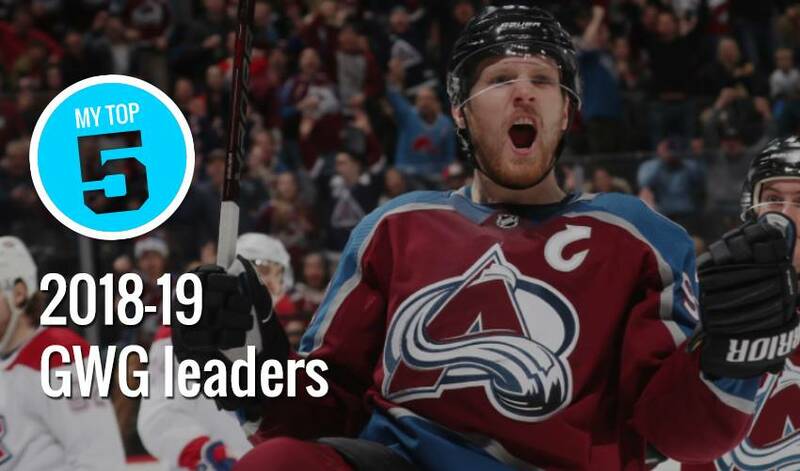 Averaging 1.08 points per game, Landeskog is playing his part in helping the Avalanche seek a post-season berth for the second straight season. One of the game’s most electrifying stars is in the midst of another standout campaign. Edmonton’s captain is in the thick of the scoring race, averaging 1.49 points per game, while contributing 23 points on the power-play. The reigning Ted Lindsay Award winner has 29 goals on the season. Of Panarin’s 19 goals, seven have been game-winners. The Columbus left wing, averaging a stellar 1.15 points per game in 2018-19, also sports a plus minus of plus-10, and has 34 helpers in 46 games for the Blue Jackets. Vancouver’s rookie sensation has impressed the hockey nation with his head-turning offensive flair. Despite missing games to injury, Pettersson has been a West Coast force for the Canucks. Along with his 1.13 points per game mark, the centre boasts a sizzling 28.0 per cent shooting average. To say that Skinner has been stellar for the Sabres would be a big understatement. The left wing, who has already reached the 30-goal plateau, has been a consistent offensive contributor in Buffalo. The veteran forward showcases a 19.6 per cent shooting average for the Eastern Conference club.